← Cherry blossoms for a rainy day. 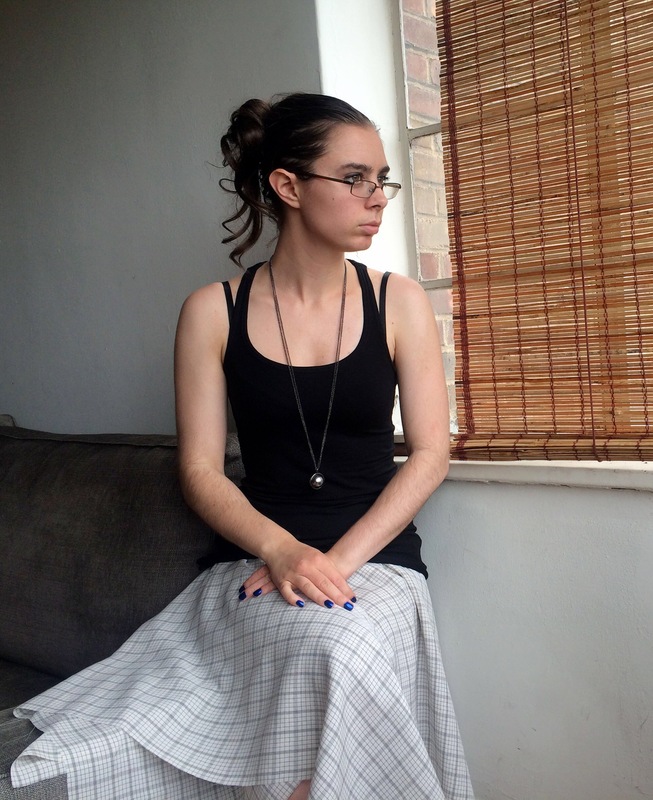 It’s a basic circle skirt with, an elastic waistband, and a small amount of gathering. 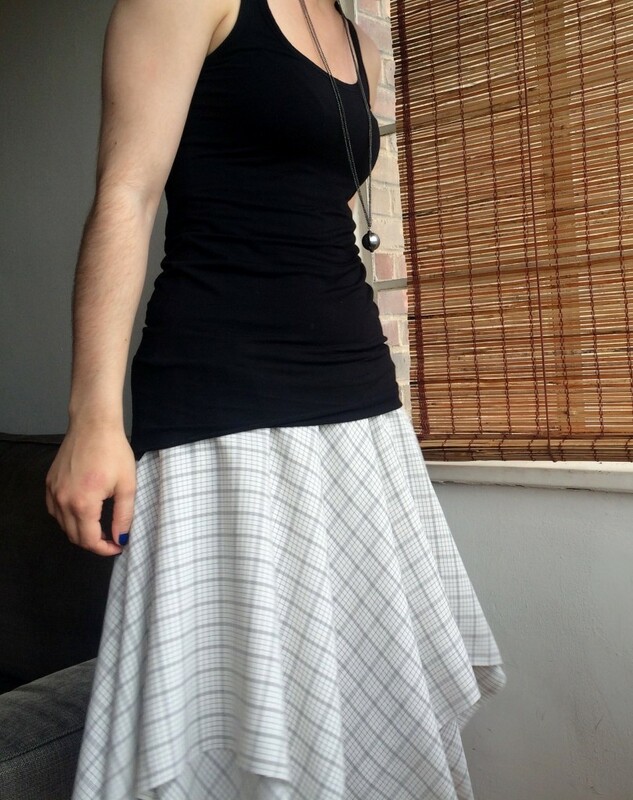 Instead of making it a straight circle skirt, I used two layers of fabric, and left them squares, offsetting them so there are 8 points instead of 4. 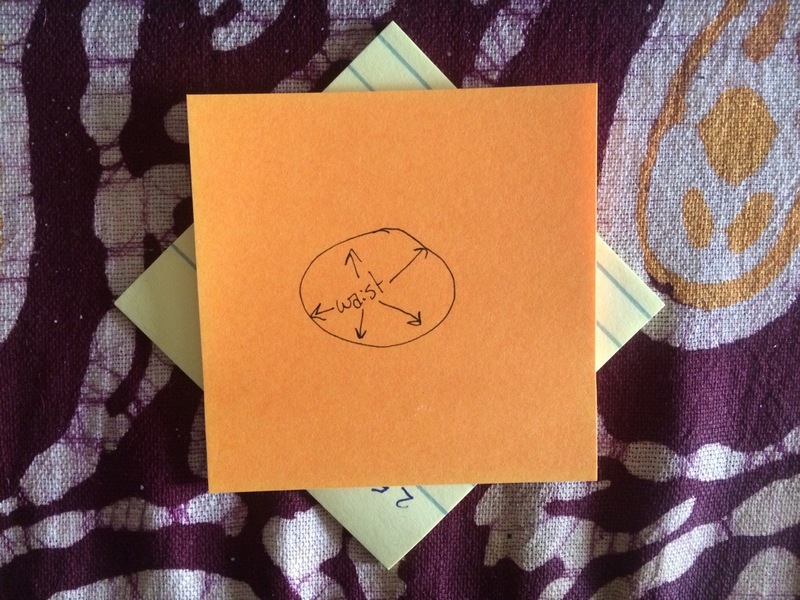 If I were thinking I would have grabbed a photo while I was making it, but I forgot, so here’s a demonstration of what I mean with post-it notes. 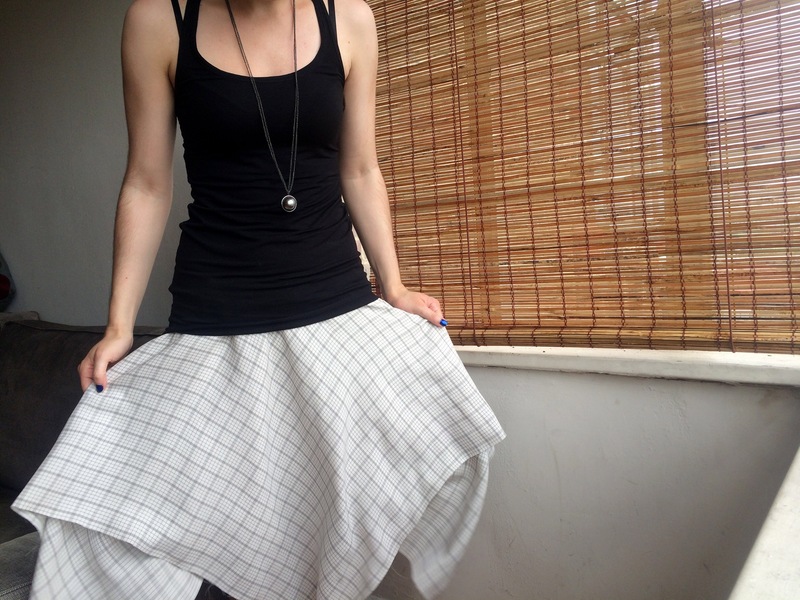 And I’m sure I’ll be making another skirt like this soon enough, so I’ll try to remember an in-progress photo.